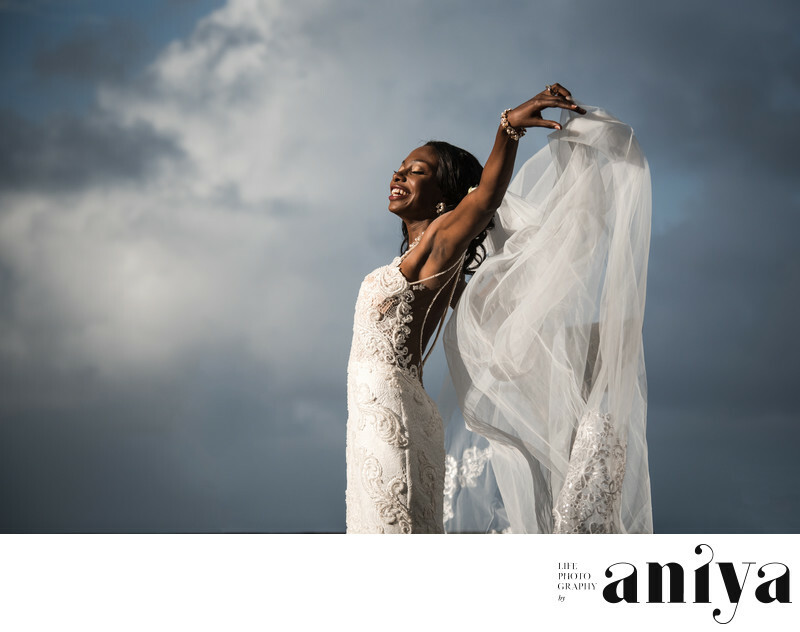 She lifted her veil and looked to the sun for this stunning bridal portrait. There is nothing like showing a bride how beautiful she is on her wedding day. Location: St. John's Parish Church, St. John. Barbados.